Homer is a city located in Kenai Peninsula Borough in the U.S. Escape the urban bustle at Bishop's Beach Park and Photography Tours. You'll explore the less-touristy side of things at Center for Alaskan Coastal Studies and Homer Spit. Change things up with a short trip to Fishing Charters & Tours in Ninilchik (about 42 minutes away). And it doesn't end there: get a new perspective on nature at Alaska Islands and Ocean Visitor Center, take in the exciting artwork at Norman Lowell Studio & Gallery, and examine the collection at Pratt Museum. To plan Homer vacation without wasting time, ask Inspirock to design an itinerary. Dubai, United Arab Emirates to Homer is an approximately 25-hour flight. The time zone changes from Gulf Standard Time (GST) to Alaska Standard Time (AKST), which is usually a -13 hour difference. Expect cooler temperatures when traveling from Dubai in August; daily highs in Homer reach 20°C and lows reach 12°C. Finish your sightseeing early on the 4th (Sun) to allow enough time to travel to Yosemite National Park. On the 5th (Mon), hike along Panorama Trail, then explore the striking landscape at Glacier Point, and then take in the awesome beauty at Cathedral Beach Picnic Area. 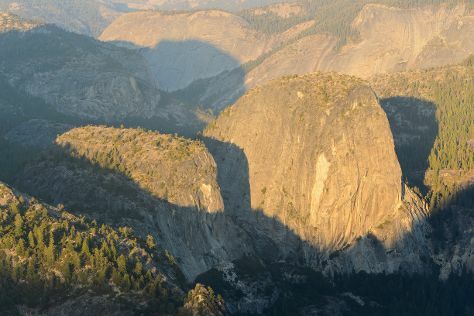 Get ready for a full day of sightseeing on the 6th (Tue): don't miss a visit to Olmsted Point, then trek along Tuolumne Meadows, and then take in the dramatic scenery at Yosemite Falls. To see where to stay, other places to visit, photos, and tourist information, you can read our Yosemite National Park itinerary planner. Traveling by combination of bus, flight, and car from Homer to Yosemite National Park takes 16.5 hours. Alternatively, you can do a combination of flight and car; or do a combination of flight, subway, bus, and taxi. The time zone difference when traveling from Homer to Yosemite National Park is 1 hour. When traveling from Homer in August, plan for a bit warmer days and slightly colder nights in Yosemite National Park: temperatures range from 32°C by day to 7°C at night. Finish your sightseeing early on the 6th (Tue) so you can travel to Yellowstone National Park. Kick off your visit on the 7th (Wed): trek along Artist Point, then take in breathtaking views at Grand Canyon of the Yellowstone, and then take in breathtaking views at S Rim Trail. Get ready for a full day of sightseeing on the next day: take a memorable drive along Grand Loop Road, then take in the natural beauty of Upper Geyser Basin, and then witness a stunning natural landmark at Grand Prismatic Spring. To find photos, reviews, where to stay, and other tourist information, use the Yellowstone National Park day trip planning website . Traveling by combination of car and flight from Yosemite National Park to Yellowstone National Park takes 10 hours. Alternatively, you can do a combination of bus, flight, and car. You'll lose 1 hour traveling from Yosemite National Park to Yellowstone National Park due to the time zone difference. In August, Yellowstone National Park is a bit cooler than Yosemite National Park - with highs of 24°C and lows of 3°C. Cap off your sightseeing on the 8th (Thu) early enough to travel to Custer. Start off your visit on the 9th (Fri): explore the striking landscape at Mammoth Site of Hot Springs, identify plant and animal life at Windcross Conservancy, then explore the fascinating underground world of Wind Cave National Park, and finally admire the majestic nature at Custer State Park. Here are some ideas for day two: contemplate the waterfront views at Sylvan Lake, then take in the dramatic natural features at Needles Eye Tunnel, and then explore and take pictures at Wildlife Loop Road. To see other places to visit, maps, photos, and tourist information, use the Custer tour itinerary website . Getting from Yellowstone National Park to Custer by combination of car, flight, and taxi takes about 7 hours. Other options: drive; or do a combination of car and flight. Expect a bit warmer temperatures when traveling from Yellowstone National Park in August; daily highs in Custer reach 29°C and lows reach 12°C. Finish your sightseeing early on the 10th (Sat) so you can travel to Santa Fe. On the 11th (Sun), admire the masterpieces at Georgia O'Keeffe Museum, contemplate the long history of Santa Fe Plaza, then see the interesting displays at Museum of International Folk Art, then don't miss a visit to Canyon Road, and finally take in the architecture and atmosphere at The Cathedral Basilica of St. Francis of Assisi. Get ready for a full day of sightseeing on the next day: see the interesting displays at New Mexico History Museum, take a tour by water with Boat Tours & Water Sports, and then contemplate in the serene atmosphere at Loretto Chapel. To find photos, reviews, other places to visit, and other tourist information, you can read our Santa Fe trip planner. Do a combination of taxi and flight from Custer to Santa Fe in 5 hours. Alternatively, you can drive; or take a bus. Plan for a bit warmer temperatures traveling from Custer in August, with highs in Santa Fe at 34°C and lows at 16°C. Wrap up your sightseeing on the 12th (Mon) early enough to travel to Pigeon Forge. Start off your visit on the 13th (Tue): admire the natural beauty at Parrot Mountain & Gardens, kick your exploration up a notch at some of the top local zipline courses and adventure parks, and then let the river carry you with a rafting and tubing tour. Here are some ideas for day two: get in on the family fun at Smoky Mountain Alpine Coaster, then steep yourself in history at The Old Mill, and then look for all kinds of wild species at Roaring Fork. For more things to do, where to stay, maps, and more tourist information, go to the Pigeon Forge trip app . Getting from Santa Fe to Pigeon Forge by flight takes about 6.5 hours. Other options: do a combination of shuttle and flight; or drive. Due to the time zone difference, you'll lose 2 hours traveling from Santa Fe to Pigeon Forge. Traveling from Santa Fe in August, plan for a bit warmer nights in Pigeon Forge, with lows around 23°C. Wrap up your sightseeing on the 14th (Wed) to allow time to travel back home.